Whether you are tackling low-hanging branches or trimming higher ones, you want to do your pruning jobs with ease and comfort. With the HT 103 Pole Pruner, get ready for a tool designed to reduce fatigue and improve handling. Its telescoping design increases rigidity while extending and easily locks into position, letting you prune high branches with precision. 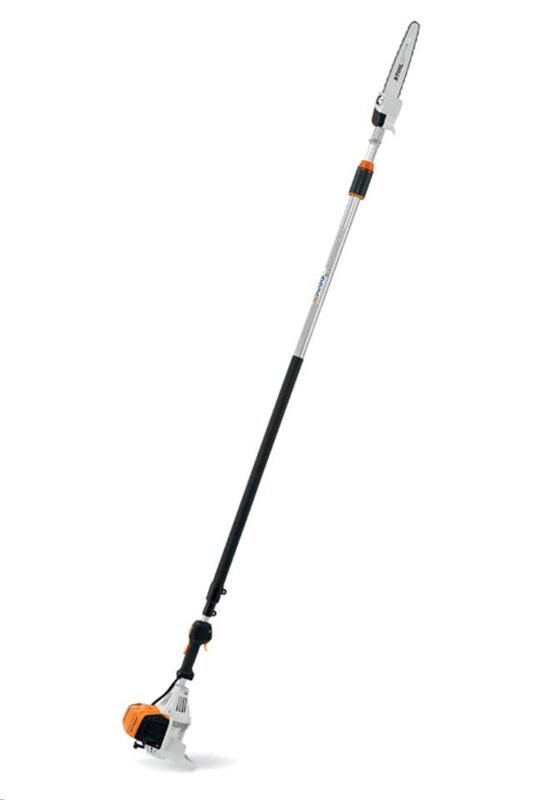 This reduced-weight pole pruner also has a large fuel tank providing 30% longer run times than previous models. Combined with features like the semi-automatic choke lever, one-touch stop, no-slip grip clamp and 1/4" STIHL PICCO Micro 3 (PM3) saw chain, you get a fast and convenient tool that makes clean cuts. * Please call us for any questions on our stihl pole saw pruner gas serving Honolulu, Waikiki and surrounding communities on Oahu.